Crop for Literacy Registration is Open! All proceeds from Crop for Literacy benefit the Literacy Center’s Adult Literacy Program. 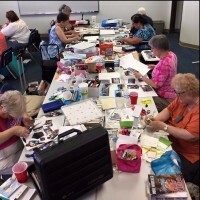 When you scrapbook and craft it is for the cause of literacy! This is your time to create, mingle with friends and craft for a the cause of literacy. Register soon, seating is limited! Download Registration Form Click Here! 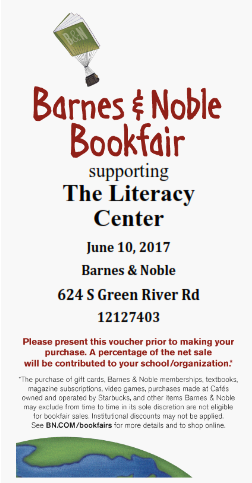 The Literacy Center’s 7th Annual Crop for Literacy will be Saturday, July 15, 2017 at Harrison College located at 4601 Theatre Drive, Evansville, IN from 9:00 am – 8:00 pm! Register before June 30, 2017 and your registration will be $35.00/person. Send all money for your table of 4 or 8 together by this date and you will be guaranteed seating together. Register July 1 – July 13, 2017 and the cost per person will be $40.00 and we cannot guarantee seating with crop buddies. We hope to seat all participants with their crop buddies but to guarantee seating with crop buddies, all registrations should be received in same envelope with payment for all (separate checks okay). Call us with questions 812-429-1222 or e-mail us at cropforliteracy@litcenter.org. We accept Check, Cash and MasterCard, Visa and Discover. We take credit card via PayPal. Lunch by Spudz N Stuff! You can earn prize tickets by donating new & used items for the rummage sale. E-mail (cropforliteracy@litcenter.org) or call us (812-429-1222) if you have your items ready early to arrange pick up. You may also drop off Monday-Thursday 9am-5pm to us at 3411aFirst Avenue (By Ivy Tech Bookstore). 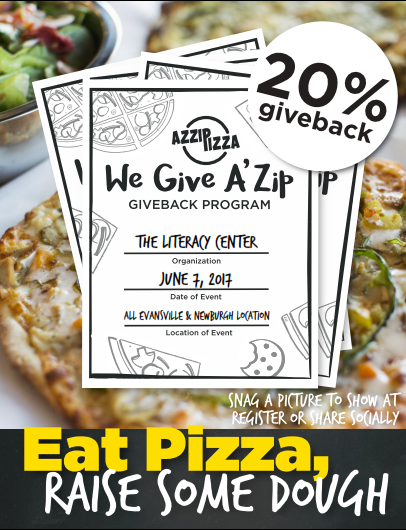 You can help the Literacy Center raise funds for resources and materials by…Dining at AZZIP pizza at all locations on June 7th! Can’t make it? Email Jennto order your $10.00 gift card! 20% is giving back to us!Also, Shopping at Barnes and Noble on June 10th all day, present the voucher and Barnes & Noble donates a percentage of your purchase to us. We will be hosting Play SCRABBLE that day at Barnes and Noble from 11 am -3 pm! Thanks for supporting The Literacy Center. Our adult learners are breaking the cycle and are working towards improving their skills and earning an education. If you would like to volunteer or donate please contact Jennifer Wigginton our Executive Director.